Looking for a Drug Rehab or Alcohol Rehabilitation in New Mexico? Anyone who wants help for a drug or alcohol problem in New Mexico can get it, but the first step to getting this help is admitting that you need it in the first place and then reaching out to a drug rehab program and speaking with a drug treatment counselor. Some times for an addict, this is easier said than done, which is why it sometimes falls on friends and family to get individuals their help they need. A drug treatment professional in New Mexico who can help loved ones who have tried to get someone to rehab with no success, by guiding them on what the next step is, which may be a drug intervention. So if you need help from a drug treatment counselor in New Mexico, it's as easy as speaking to one directly at a drug rehab program in your area. In a single-day count in 2013, 12,868 individuals in New Mexico were enrolled in substance use treatment. Among treatment clients in New Mexico that year, 30.6% were in treatment for drug use only, 19.9% were in treatment for alcohol use only, and 49.6% were in treatment for both drug and alcohol use. The number one drug problem according in the state is the abuse of amphetamine, which would include meth and crystal meth with over 10% of admissions stating that this was their drug of choice. Heroin and other opiates, with other opiates being prescription pain killers, are abused at higher rates than even marijuana in the state when combined into the same category. Poly-drug use involving alcohol is also a very serious problem, with nearly half of clients admitting a problem with both drugs and alcohol. Alcohol is part of a much bigger poly-drug abuse problem in New Mexico. In New Mexico, about 132,000 individuals aged 12 or older are dependent on or abuse alcohol, yet only about 10% received treatment for this problem in the state last year. Alcohol treatment in New Mexico is most effective when there is early intervention. The longer a drug or alcohol problem persists, the harder it can be to resolve. And once someone is in a position to get alcohol treatment, they should get the most quality treatment that is right for them. Alcohol treatment is far more effective when there is a full comprehensive approach, and residents should find out what programs are available to them beyond the traditional approaches they have been accustomed to or are familiar with. Residents can find out what these options are by speaking with an alcohol treatment counselor in their area. There are around 139 drug rehab programs in the state of New Mexico, over 83% of which are outpatient treatment programs. There are 14 programs in the state which provide opiate maintenance services. The majority of programs which deliver outpatient are regular/intensive outpatient treatment programs, but there are also 13 day-treatment/partial hospitalization facilities in the state. Day-treatment/partial hospitalization facilities in the state can provide more aggressive outpatient treatment for individuals who can't commit to an inpatient or residential program. In terms of residential non-hospital programs and hospital inpatient programs, there are 23 and 8 respectively. The 14 opiate maintenance facilities provide administer methadone or buprenorphine to the with over 2,500 opiate maintenance clients on a daily basis. A much better alternative to opiate maintenance treatment is aggressive intervention and treatment in an inpatient or residential facility in the state, which can provide actual resolution and not just subdue the problem. What does Inpatient Rehab in New Mexico Involve? Inpatient and residential non-hospital treatment are both available in New Mexico. There are 10 short term and 17 long term residential programs, and 8 hospital inpatient. Long-term treatment in New Mexico involved a residential stay of anywhere from 60-120 days, and has shown the highest success rates for treatment clients. For many, 30-day treatment is often only enough time to overcome acute challenges to one's abstinence but may not be aggressive enough for someone who has struggled with a chronic long term drug problem. Clients can expect to take part in individual and group substance abuse therapy and counseling, cognitive behavioral therapy, holistic treatment, and steps to address a dual-diagnosis if it is determined that the individual needs to address a co-occurring mental health disorder. What does Outpatient Rehab in New Mexico Involve? Outpatient treatment choices range from one day per week group or individual therapy sessions to daily intensive treatment. This can take place in a clinic or hospital, or a private office depending on the program a client chooses. How intensive outpatient treatment is can vary but if someone has a chronic drug or alcohol problem, one day of treatment per week won't normally live up to the client's expectations and the risk of relapse will remain relatively high. Someone who is experiencing a co-occurring mental health disorder may find treatment for their co-occurring problem at a day-treatment/partial hospitalization facility. 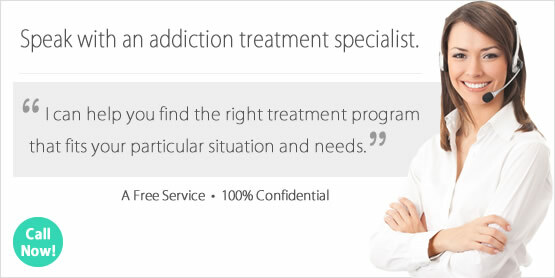 As mentioned above, there are outpatient programs which provide opiate maintenance services, however these facilities don't provide any other treatment beyond this such as counseling or therapy to resolve the actual problem.